← As Navy SEAL Body Count Rises, Obama Arms Muslim Brotherhood With Advanced Weaponry: Is There A Connection?? Is The DHS Secretly Buying Prisons and Preparing for Martial Law? I had a gentleman contact me yesterday. He was obviously distraught. He said he had a message that needed to get out to the American people and he thought maybe I could help because of my following. The information he imparted was beyond frightening. He claims to have friends who are with the DHS and they have been warning him of DHS developments and potential agendas for some time. So how do I know that my source is accurate? I do not. Here is what I can tell you. I can tell you that this man gave me a genuine feeling that he was telling the truth “as he knows it.” Why? Because I asked him some questions and he did not immediately answer me. His response to me was that he was having lunch with his source today and wanted to know what he should ask. That doesn’t sound like a conspiracy theorist to me. That sounds like a guy who knows things that he shouldn’t and is trying to help. That is my take. His friend? I don’t know. There is no doubt that some people with important jobs tend to want to think that they are “in the loop” with everything that their superiors are doing. That is a possibility. I can not judge these statements as fact, I am laying them out as a potential scenario. I feel that this information is too important to withhold. If it’s not true then at least people will be prepared for the worst. This will be a sloppy piece of reporting that is not without holes. I am not a journalist. I am not even a paid blogger. I claim no political party. What am I? I am a concerned American and it is my belief that this information was imparted to me by two other concerned Americans and I have to believe there is some fact in these claims. You can take it all for what it’s worth, but my suggestion is to prepare. Even if this article proves to be full of holes, there is no doubt that other signs are there. We are seeing reports from other DHS insiders and news sources all over the internet. They are warning us of martial law being reality by late 2013. They warn us of FEMA camps and a conspiracy to devalue and collapse the dollar. We have seen a preponderance of evidence to support that our own President has ties to the communist party. We have seen our military and our Southern defenses weakened. 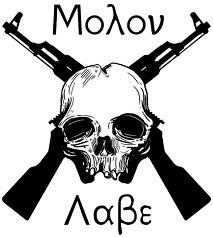 We have seen extreme efforts to strip us of our 2nd amendment rights. We have seen multiple accounts come from DHS purchases that are facts. 7,000 AR-15s and hundreds of thousands of rounds of hollow points have been purchased. We have reason to believe that there are things already in play, but we continue to try to piece this puzzle together. Preparation is not crazy my friends, it is prudent at this point. From this point on, everything you will read is second-hand information coming from a DHS employee. You will have to decide whether or not you want to believe it. OK, we all know about the ammo and “assault rifle” purchases so this seems logical to me. It seems like it is probably credible. But the word I am getting is that it is an extremely large number of agents who are to be trained, not just a few “specialists.” It seems to be everyone who works at this particular extension of the DHS. I can’t get into too many details because I promised my source to protect his identity. The more details I give, the more likely the leak is to be traced to him. If this training is beginning should we be surprised? 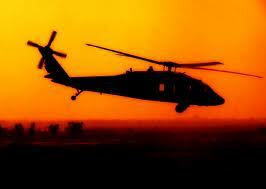 With Blackhawks buzzing through major metropolitan areas does it seem far-fetched that there is a true sense of urgency to train government personnel? For those of you who have not heard, it’s not just helicopters. Last year there were tanks and heavily armored urban combat vehicles running through the streets of St. Louis, MO. They are preparing for something big that will happen on American soil in my opinion. Why would this be a concern? Wouldn’t that seem to be normal? Well maybe yes and maybe no. The information that has been imparted to me is that DHS regularly uses “contracted civilian” drivers and this is being seen as a move to prepare all agents for the “Mass Rallies” that are coming. They are being prepared to drive across state lines, in large numbers. “Mass Rallies” is a term being used to describe the raids that will be taking place. It seems to be no secret within the ranks of the DHS that this will be happening. I did not get the chance to ask the question I should have asked. Will it be gun owners? Perceived terrorists? Illegal aliens? I honestly don’t know but I know that there is too much evidence piling up for me to doubt that something is coming. This is where it gets a little strange. This is what I wanted my friend to gather more information on today, and he was able to get a little before he says that his DHS friend “shut down.” Maybe he didn’t know and maybe he was afraid that he had already revealed too much. It’s all conjecture at this point. His source says that all of these prisons are built in a configuration of a “residential detention center,” complete with things like playgrounds for children. How odd? The article above talks about Bill Clayton Detention Center being purchased at auction by an “undisclosed” bidder. Could this be the site of our “First DHS Prison?” It would seem to potentially fit the description and the fact that the buyer did not disclose their identity makes me wonder. As I already stated I could not find evidence of a large number of private prisons being empty, but I did find a very large number of municipal and state prisons that fit the bill. One has already sold to the federal government and negotiations seem to be in place for more. If you do a quick look up on Google for “prison remains empty” you will find prisons all over the country that were built and remain empty due to budget failures, but I find no evidence that most have been sold. New York is trying to sell 7 of its prisons. Thompson Prison in Illinois sold to the federal government. That is a fact. Obama claimed the prison would house terrorists before backing off of the claim. What terrorists was he speaking of? We have to go back to the “Westpoint Think Tank” studies to realize he could have been talking about conservative Americans. 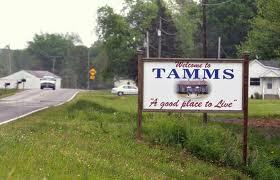 Illinois is also trying to sell Tamms State Prison to the federal goverment. New ultra-high-dollar prison facilities in New Hampshire, Texas, Colorado and Virginia remain empty. One has to wonder what might happen to these facilities. There is no doubt that there is a current infrastructure for the federal government to step in and house tens of thousands of new inmates. There are large and small vacant prisons all over the country. Many would easily be converted to the “Residential Detainment” centers that our source speaks of. If the federal government or the specific branch of the DHS were to buy these prisons, how would they do so and keep it out of the public eye? This is an imperfect scenario that needs more research. Dummy corporations have been used before. It should also be noted that DHS currently rents beds from prisons all over the country so buying a prison, or multiple prisons, would not seem to be out of their jurisdiction, if the money was somehow in their budget. It should also be noted that CCA has applied once again in 2013 for the REIT status which they previously lost. CCA has long been targeted by conspiracy theorists due to the large number of high-profile banks and political contributors that buy their stock. The REIT (Real Estate Investment Trust) Status would allow them once again to have two separate companies involved in their privatized prison operations. 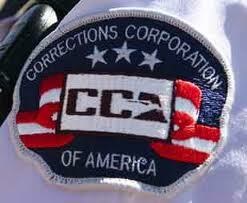 As before, one company would operate the prisons while the other company owned the prisons. There is a whole can of worms opened here and admittedly I wasn’t able to even scratch the surface in less than 24 hours. SO WHY AM I PRINTING THIS BEFORE I HAVE ALL OF THE FACTS??? For starters I may never have all the facts and if this stuff is coming soon I can not wait. One part-time blogger of above average intelligence is going to be hard pressed to crack this code. My source claims he knows another former DHS agent who is retired from “Customs” and that this former agent has been warning him for two years that something big is coming. This is not an uncommon story. We have heard it before. I never wanted to be an award winning journalist. I want you to understand where I am coming from in all of this. As I warned you earlier this story is still full of holes. So why am I printing it? Because I am a good judge of character and my friend is not lying to me. Are his friends lying to him? I don’t think so but I can’t say that for certain. I am printing this because with all of the other evidence we are seeing, I am telling all Patriots that it is time to prepare. I believe this will come before the end of 2013. There is too much urgency being displayed on all fronts and sometimes the actions of our government will tell us what their words will not. Whether or not the claims made by this second party source are true or false, if you are not already preparing then you may be in for a rude awakening. Do not surrender your guns. Those guns are the only thing keeping us free. We have a government that has been proven to be infiltrated by communists and radicals. We have a government that is unresponsive to the call of the Conservative Constitution-Loving God-Fearing American Patriot, and if you are not preparing then you are in trouble. That is my opinion. I expect this country to be under full Martial Law by the end of 2014 but I expect to see things start to unravel by the end of 2013. Today’s information is simply new information that has not been seen before. I guess if I considered myself a “journalist” I would say it was a DCC exclusive. I’m not a journalist. I’m a Patriot! I don’t care about imperfections in this story. It won’t keep me from printing it. I will keep shouting the warning calls to my fellow Patriots, because plenty of evidence is mounting. Something is going to happen. We all know it. We all feel it. We are not stupid. If you would like to see more information on this topic you might check out an article that Chad Miller shared with us a little over a month ago. It’s an interview with an anonymous DHS agent which is much more in depth than this article. If you can add anything to the cause please post it in the comments. We are in this together. We need to share the information we have. This entry was posted in Uncategorized and tagged AR-15, Blackhawks, Colorado, DHS, hollow point ammunition, Illinois, New Hampshire, New York, Obama, prison, Texas, United States, United States Department of Homeland Security. Bookmark the permalink. 84 Responses to Is The DHS Secretly Buying Prisons and Preparing for Martial Law?